Card and Label Designer software generates labels, stickers and coupons for business or personal needs. Software designs cards and labels using advance image designing objects like line, ellipse, pencil, rectangle, text, picture, triangle, star etc. With advanced inbuilt print settings, you can print multiple cards and labels simultaneously. Card Creator program is suitable for all small to large scale business organization to design multiple copies of photo id badges, employee Id cards of any shape as per user needs. 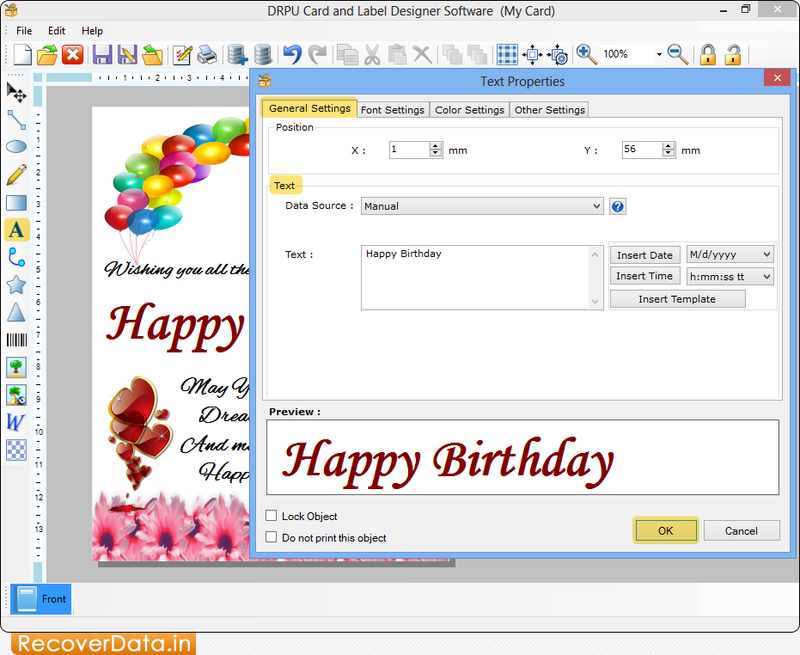 Create labels and cards using wizard or with blank format. Generate labels in rectangle, rounded rectangle or ellipse shape. Print designed stickers using flexible print setting feature. Design coupons or ID card with unique barcode value.